Thrilled to share our inaugural trip to Oregon was a success. We hosted a fabulous group of ladies and enjoyed everything from: hiking, biking, new friendships, great food, wine tastings, vineyard hopping, luxury accommodations and plenty of time taking in the breathtaking outdoor scenery and natural beauty of Oregon. All our attendees get special surprises and gifts along the way. Athleta attire is always a part of that mix with trip jackets sent to each guest, along with a detailed itinerary and trip reminders prior to departure. I’m so pleased to serve as an Athleta Brand Ambassador. Their products fit so perfectly with the MOJO trip experience and many of our guests are big fans. 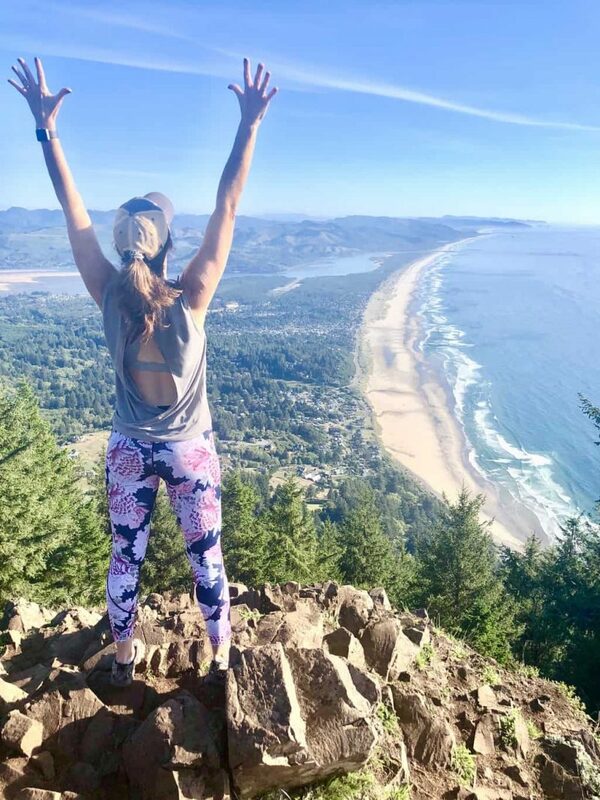 Sherri Johnson, a regular MOJO adventurer and expert travel writer, interviewed me following our travels for an article featuring the Oregon trip experience and highlighting Athleta attire. Athleta Ambassador Molly Mathis knows first-hand what finding your MOJO looks likes. She leads groups of women on active adventures, in the US and abroad, and witnesses perseverance, determination and connectedness as women serve as champions for each other. Recently, she led a group of 17 women, including myself, to Oregon. With its diverse regions of oceans, mountains, valleys, and high dessert, there was no shortage of MOJO to be found. I interviewed Molly about what ignites her travel passion, how she turned this into a profession and what she hopes travelers gain from new experiences and challenges. What does it mean to find your MOJO? Mojo is defined as a magic power. For me, that translates to desire, motivation and passion. A lot of times you hear about MOJO in terms of something lost, i.e. “I lost my Mojo,” but it’s actually something I found — at birth. Molly Jo is my given name, and MOJO, my nickname. Founding MOJO Active Adventures was probably my destiny! How do you determine the destinations to offer? First, its relevant to know that I’m an avid traveler, a certified fitness professional and a mom of two teenage boys. For me, when travel, friends and fitness converge I’m at my best and happiest place. I look for destinations that combine the beauty of nature with the rigors of an active adventure that will leave people feeling both challenged and rewarded. Whether it’s ice climbing, caving or kayaking, these experiences allow everyone to be challenged and present. Our signature trips include Colorado Springs, Puerto Rico, Iceland, Costa Rica and most recently, Oregon, and all meet that criteria. How did your group kick-off the Oregon adventure? We started our trip in Portland with a group bonding event on the Columbia River, where all seventeen of us from 3 different states convened. The next morning, we ventured into the Hood River Valley, in the shadows of the striking beauty of Mt. Hood and Mt. Adams. We hiked to waterfalls, including the Multnomah, and learned about the area and its history, then set out on a 12-mile bike trip through the Gorge. We capped the night with a farm-to-table dinner hosted by a local winery and led by the winemaker herself. Leaving our hotel that morning with only a backpack, Athleta really had our backs! From hiking in our Wander Stash Pants and Elation Tights to biking in our Foresthill Tanks and Speedlight Tights – our apparel carried us comfortably through our day into the evening. How do you maintain endurance throughout the trip? We traveled a lot of miles on this journey through Oregon, from the mountains to the coast and the valleys. We traveled to the coast, where the famous Haystack Rock rises 235 ft. out of the ocean. We recharged our batteries with walks on beautiful Cannon Beach and captured a little R&R at our seaside luxury hotel. We kayaked the Nahalem Bay and beached our crafts to share lunch and relax before hiking an uphill stretch of the Oregon Coast Trail. Once again, our Athleta gear did not let us down. The quick-dry layers and comfort transitioned so well from water to land, and altitude. In fact, I had on my favorite Run Free Garden Party Tights when I reached the summit. Is there a competitiveness on your adventure trips? My groups always unite and are incredibly supportive of each other. That is, until we reached the Willamette Valley. We had the opportunity to participate in the annual Willamette Valley Vineyards Grape Stomp! In teams of two, our gang got a big cardio boost and competed with locals in this competition. Dressing in costumes is always encouraged and our MOJO teams did not disappoint. We had a “Lucy and Ethel” the Pinot Princesses and even a couple of Nuns. There was a lot of laughter and maybe a splash of competitiveness. How do you encourage your travelers to carry the MOJO from the trip forward into their daily lives? Without the distraction of daily life, our Oregon adventure allowed us all to be proud and present to all of the accomplishments from the trip. This is easier to do when we escape, but we can draw strength and confidence from new experiences and use this as a frame work for moving forward. The Power of She is definitely present on all of our adventures. As women, we should give ourselves the grace to do something for ourselves. In turn, we serve as role models for our children, friends and family to take the time to take a breath and enjoy the beauty of our land and the fellowship we get from women.